This Installation is a Classical front door, with Parama door design, in deep blue, with victoriana glass design. 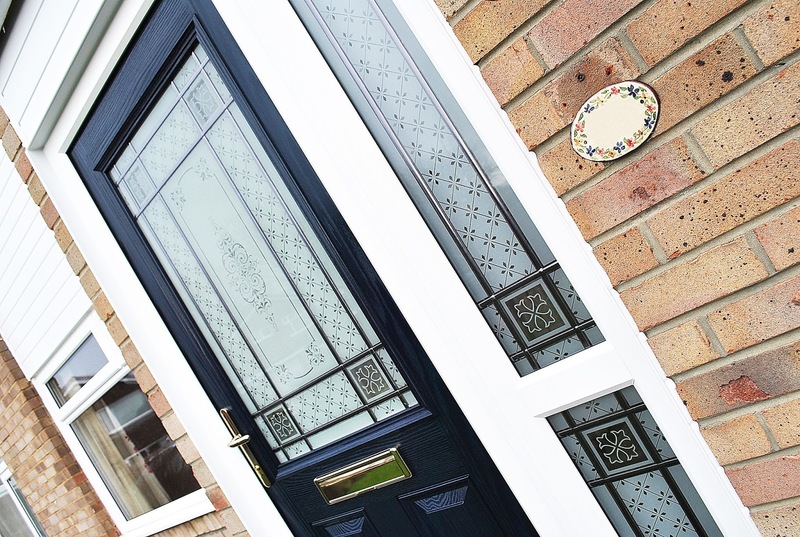 The Side panel is a Matching Victoriana glass, with transom bar dividing the two glass panels. The door is then finished off with classic Golden fixtures and fittings, with shiplap cladding above to give a clean, crisp finish. All Framework is high quality White Rehau UPVC Profile. 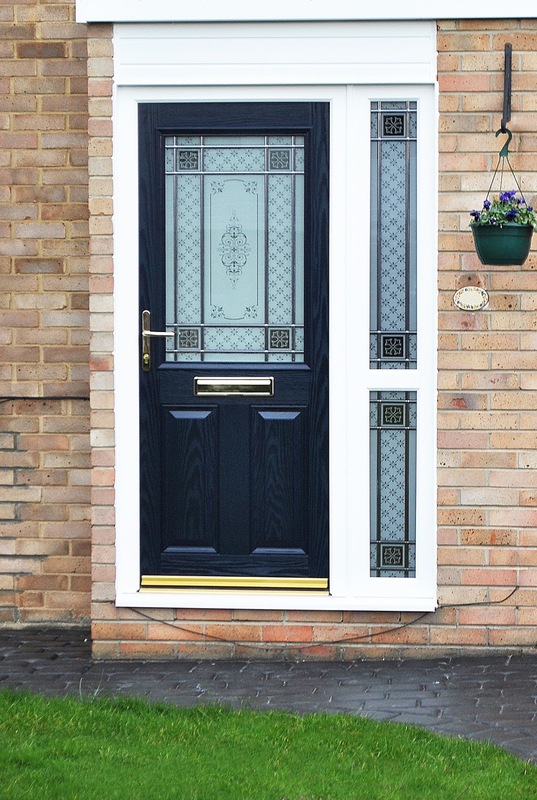 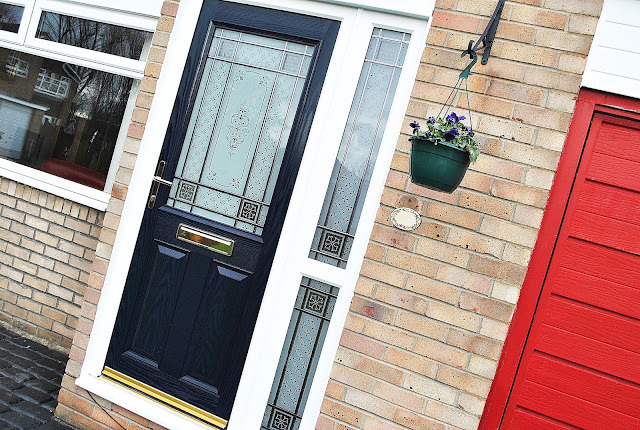 Front View; A Deep blue Parama composite door, with Victoriana Glass design within panel and side panels.